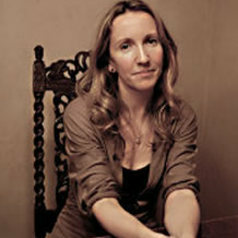 Danielle Hipkins has taught Italian cinema and language at the University of Exeter since 2006. She has recently been working on an AHRC-funded collaborative project with colleagues at Bristol and Oxford Brookes, which examines the experience and memories of cinema-going in Italy in the 1940s and 1950s. With an emphasis on the popular, this project counters a narrative of post-war Italian cinema that privileges the viewing preferences of a relatively small group of predominantly male intellectuals. The project focuses particularly on the importance of cinema in everyday life, and the social experience of cinema-going, by interviewing surviving audience members, analysing their responses using data analysis software, and contextualizing these responses through further archival research. The team has been working in close collaboration with the online oral history organization Memoro and the University of the Third Age in Italy. You can follow our project on our website at http://italiancinemaaudiences.org/, and find out more about recent presentations of our work in the UK and Italy.